2018 CoolyRocksOn Church Service a blast! 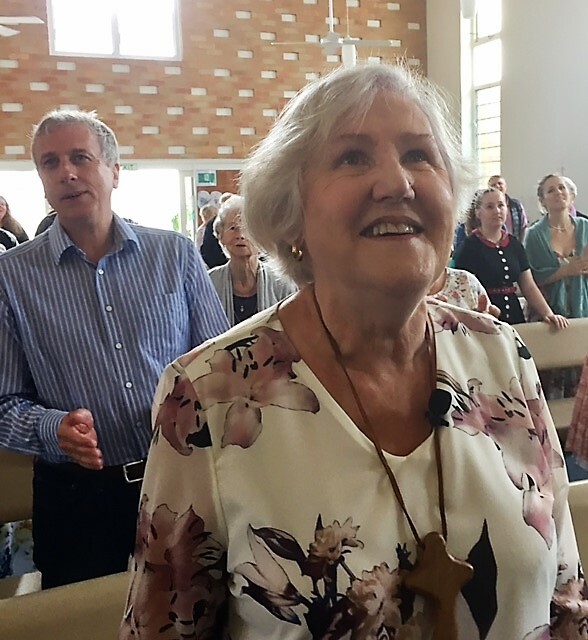 The 2018 CoolyRocksOn Church Service was a blast held at the Twin Towns Uniting Church (Coolangatta) on Sunday. This is part of the annual nostalgic Rock 'n Roll and vintage car Festival held in Coolangatta (Gold Coast) during the entire Queens Birthday 7 day week culminating on Mon 11 June with 115,000 visitors. 8 years ago the Anglican church who ran it closed (asbestos). The church service fell into abeyance, three years later a CoolyRocksOn board member (a taxi driver) who was bringing Rev Mark and Delma Tronson home from the airport after another mission, asked Rev Mark to resurrect it. The then Festival Director met with Rev Mark Tronson and it was given the green light. It was held in a marquee. An amazing story. The marquee was packed. The following years saw the CoolyRocksOn Church Service continue to burst at the seams as people were coming from all over Australia for the Rock 'n Roll festival. This was enormous internal stress upon Rev Mark Tronson in seeing it all come to fruition each year - and he felt it was time to pass it on after 4 years. In his 67th year he has been reducing his ministry load. 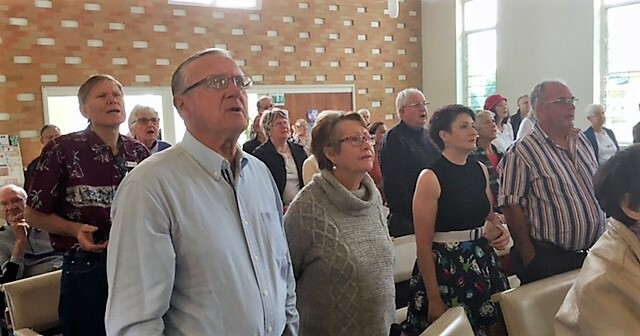 The church was again packed with visitors from as far away as Britain, a British military RAF chaplain Rev Mike who was visiting family on the Gold Coast. 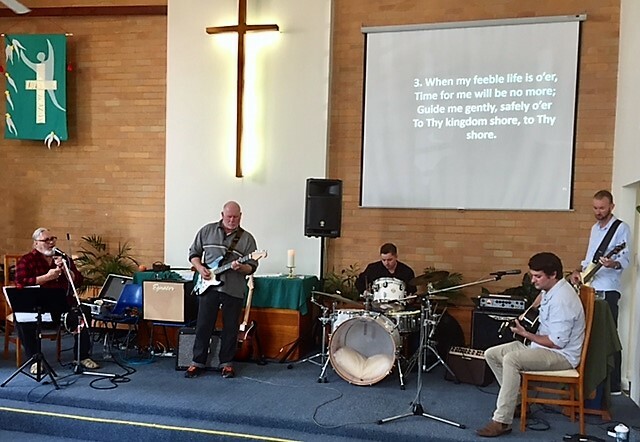 James Walton and one of the music groups from Living Temple Christian Church (Tugun Baptist) led the band which was superb and Paul Sumner giving a solo 'A closer walk with thee'. The children's story (with caricatures on the big screen), bible reading (Dr Mark Tronson) and message from Rev Marian Z were all connected to the Old Testament story Samuel anointing David with olive oil as future King of Israel. All of the older brothers, skilled every which way, were by-passed as the Lord, as He does today, looks upon the heart. 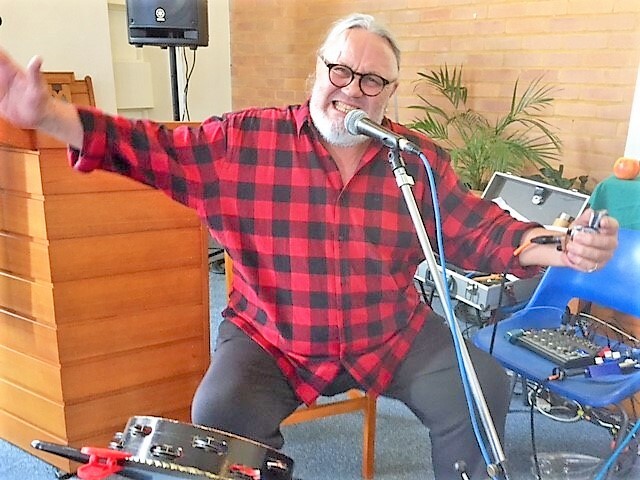 A cuppa was offered after the CoolyRocksOn Church Service and now the band has been asked to play when not engaged at Tugun Baptist and there might be an occasional Friday night gig for the band at the Twin Towns Uniting Church.